"I've just finished editing a movie on Premiere Pro CS5 (Windows version). And now, I'm planning to use Davinci Resolve for color grading. The problem is I have to convert my files to ProRess 422 HQ to work on this software. As you know it, this codec is only available for Mac/FCP users only (which I'm not). How can I convert my files to ProRes 422 (HQ) and then modify my Premiere Pro project with my new ProRes 422 (HQ) files?" "I am running CS5.5 on a HP workstation, Win 7 Pro. I understand that I cannot use the Apple ProrRes codec as I am not on a Mac. However, I have a client who wants footage delivered as ProRes 422. What would people suggest as the best output option on a PC to provide the same quality?" Is there a video encoding tool out there that allow us to convert video to Apple ProRes on Windows? Actually, there are few programs can complete the task. 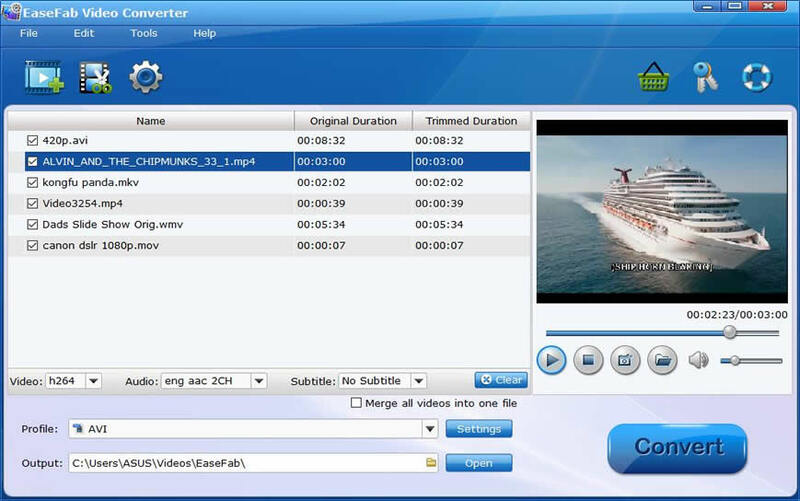 Fortunately, EaseFab Video Converter is one of the few ways to help you convert any video to Apple ProRes on the Windows platform (Windows 10 included). 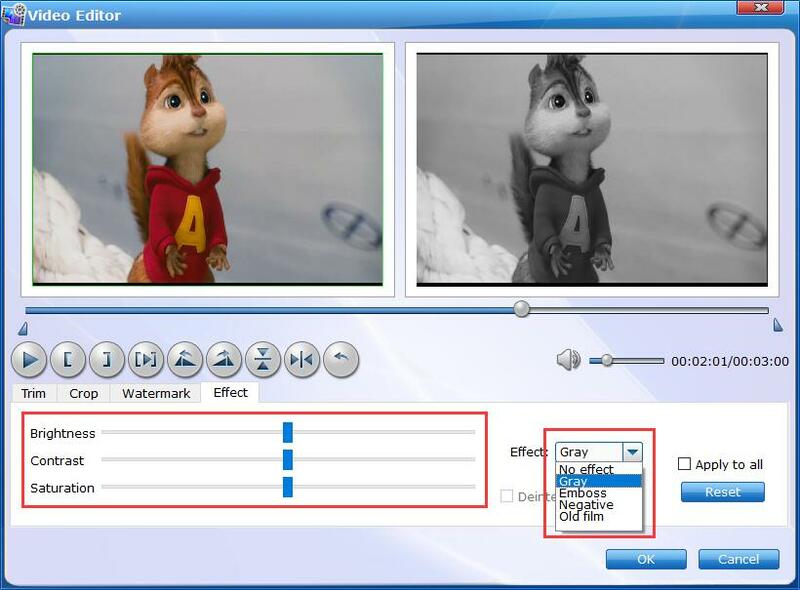 With it, you can encode/re-encode any video like MP4, MOV, MKV, WMV, AVI, MTS, FLV, VOB, XAVC, MXF, etc. to Apple ProRes codec without any quality loss. 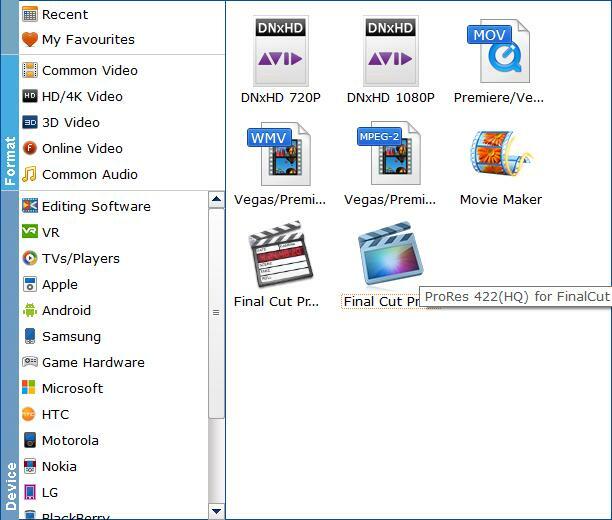 Besides ProRes, it also provides professional encoders- DNxHD, MPEG-2, etc, ensuring maximum editing quality and efficiency when working with Avid Media Composer, Adobe Premiere on Windows PC. PS: If you want to generate Apple ProRes codec on Mac OS X (macOS Mojave included), please turn to EaseFab Video Converter for Mac. Launch the ProRes converter for Windows, and you can either click "Add Video" button to import your videos files, or directly drag and drop the files into this program. Now click the Profile icon to reveal output panel, and then mouse cursor to "Editing Software" category, Choose " Final Cut Pro 7" or "Final Cut Pro X" as the output. The two presets are encoded with Apple ProRes codec. Choose a local folder where you want to save the converted files. From the top of that window, navigate to the "Convert" button, hit it and your video files will be converted in a moment and saved to the selected folder as ProRes files.